Practise on the go. 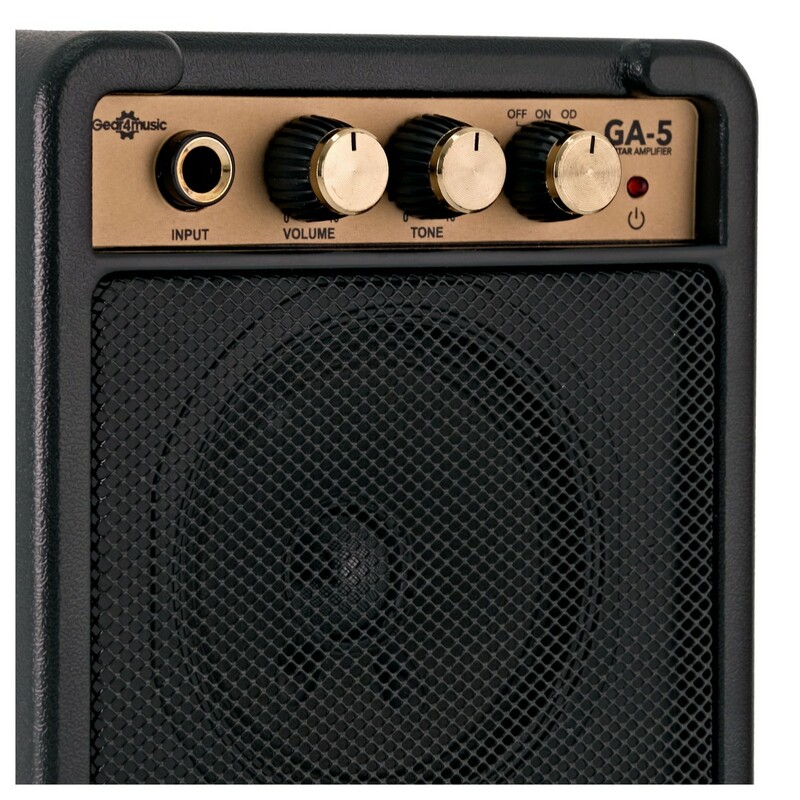 This amp is small enough to be taken anywhere. 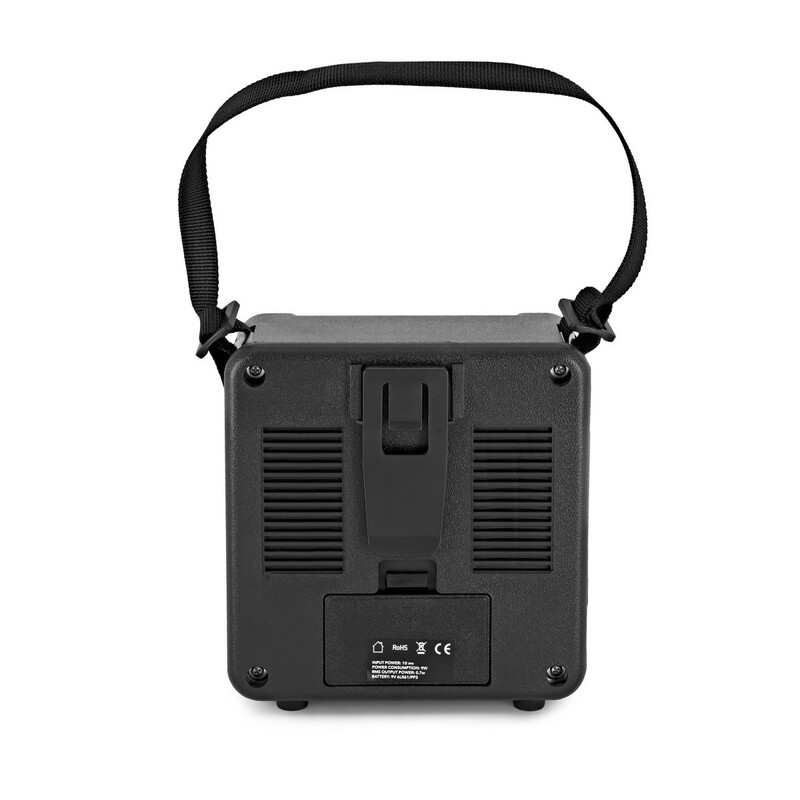 Great for playing on the move, it uses a standard 9V battery and creates a wide variety of tones. 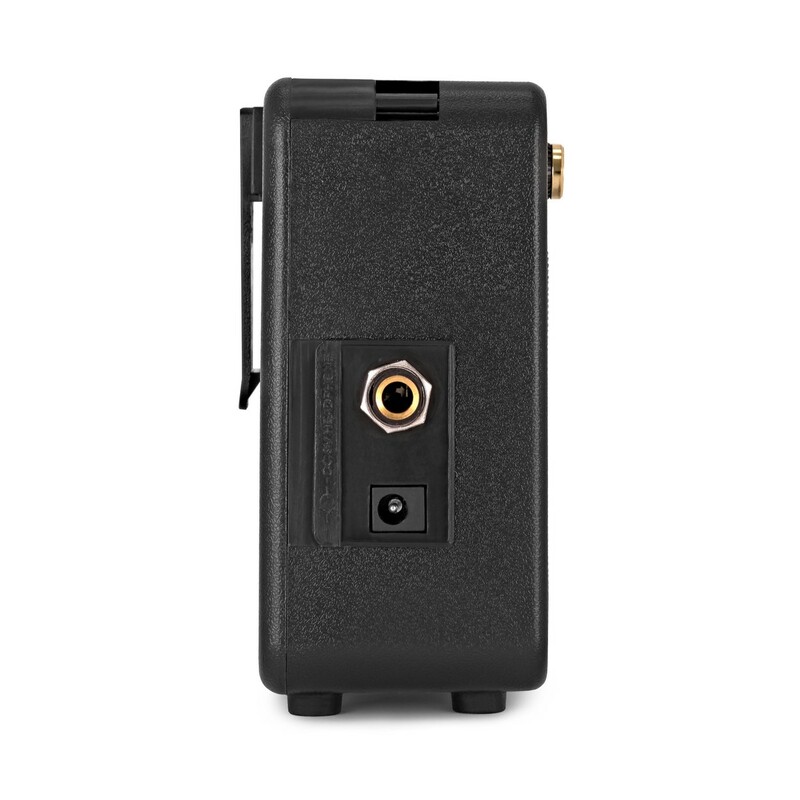 The little amp packs a powerful 4" speaker - plus overdrive, tone control, and a headphone connection. 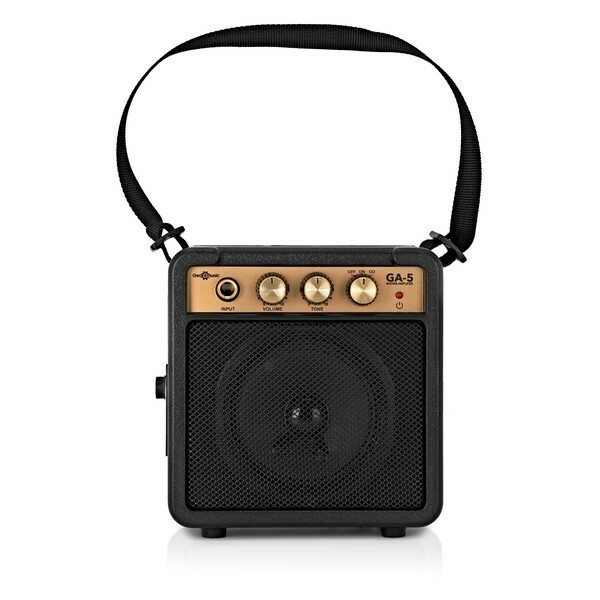 A truly portable battery-powered guitar amp, with a volume that's much bigger than its size. Great for practising and spontaneous performances. 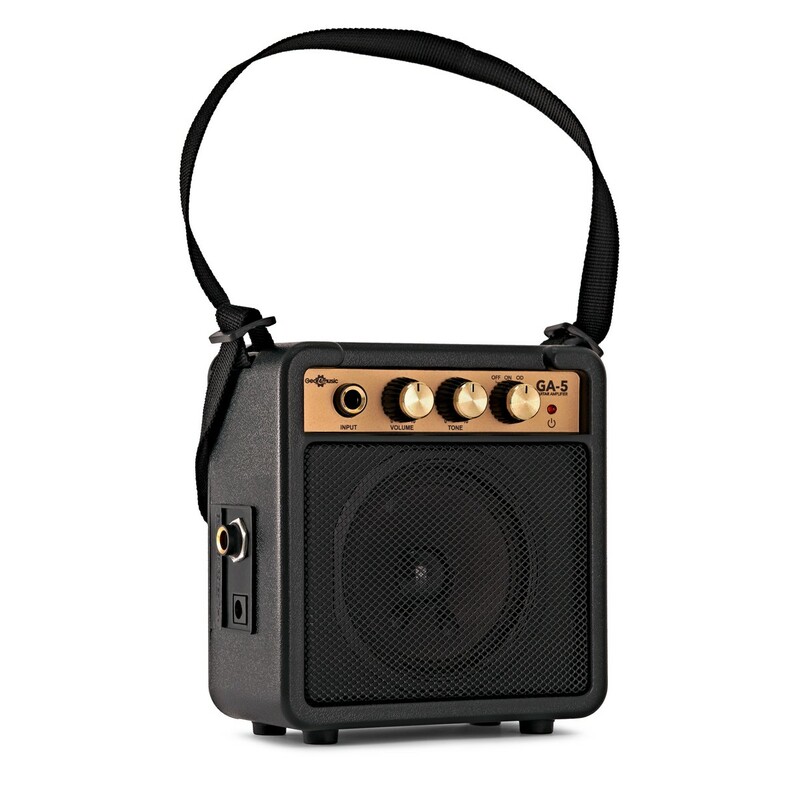 The Mini Guitar Amp is the perfect size for bedrooms and practice rooms, and it's small enough to take with you when travelling. The 4" speaker produces 3 Watts of tone - all available via a standard 9V battery. This means you can perform wherever you like, indoors or outdoors. There's also a headphone output, for practising quietly without disturbing the neighbours. Use the tone control to boost bass or treble to your taste. The overdrive switch lets you choose between a clean or crunchy sound. Both controls allow you to adjust your sound to suit your playing, whether you're jamming rock, jazz, blues or metal music.